You will add many Cheats: Add Food , Add Gold , Add Wood , Unlimited Villagers and many more. Welcome! Below we have reported the Trainer of Northgard with also attached a small guide to its use. Available on this site are also the tricks of Northgard: these cheating and strategies inside will allow you to get to the end of the game without any problem overcoming any kind of obstacle. this in our official page dedicated to tricks of Northgard . 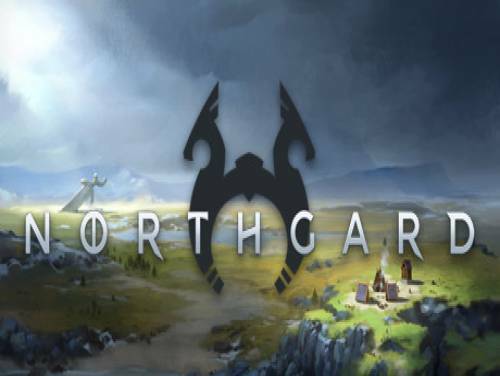 Northgard is a strategy game based on norse mythology in which you control a clan of Vichingi for the control of a new continent mysterious. The program you are about to download was not created by Apocanow. However, we have permission to publish and publicize by the authors of the Trainer Northgard Trainer - v1.5.11354 (12.05.2018). The contents of the file are virus free, even if sometimes they can trigger the AV as false positive. Numpad 1: Add Food - each press gives max food amount. Numpad 2: Add Gold - each press adds more. Numpad 3: Add Wood - each press adds more. game WILL crash if you make 1000's of units. doing this. Toggle back OFF from the TOWN HALL when done. Numpad 6: Mega Lore - press to give plenty of Lore. Numpad 7: Mega Stone and Iron - press to give plenty of Stone and Iron. Numpad 8: Max Fame - toggle on and your FAME is maxxed out.